A successful reference check is one that garners accurate information about a job candidate and leads to a successful hire. While the manual reference checking process has traditionally been an onerous and often fruitless task, automated reference checking services has opened up a new approach. This automated strategy can save HR time and money while leading to higher quality hires. 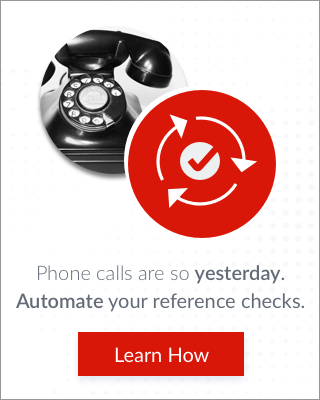 How exactly does the automated reference checking process work? Rather than requesting phone numbers, the recruiter or hiring manager can request that the applicant provides his or her email address. The candidates themselves will then receive a link that will allow them to invite their references to complete a survey. Instead of performing manual reference checks that are nothing more than an administrative obligation before hiring, HR can begin collecting information on their short list of candidates early on in the hiring process. HR professionals begin by selecting from a library of assessment templates or by crafting a customized assessment. Next, it takes just a couple of minutes to email a link to each of the selected applicants. The applicant can then accept the legal terms and conditions and invite his or her references to offer feedback on job performance. At this point in the process, each reference that the candidate contacts will receive an email with a link to a survey. The survey takes approximately five minutes to complete, and all answers are typically confidential. This confidentiality gives those providing the references and peer reference feedback assurance that their responses will not be tied to them directly, often leading to much more open and honest feedback. The standard questionnaire contains 15 questions, but managers can customize this and add additional skills and knowledge questions that are specific to the job position. Some of the questions included in the survey focus on the contact's relationship with the applicant, how well they know each other and how long they have known each other. References are also asked about the applicant’s greatest strengths, any areas that might need improvement and most significant work accomplishments. References are also able to provide ratings of different work-related attributes that are specific to the position for which the individual is applying. Perhaps most importantly, the contact can rate how likely they would be to rehire the individual. Once information has been collected from references, a report is automatically generated and sent to the hiring manager. This detailed report offers a quick summary as well as a more detailed look at each candidate. HR professionals are then able to determine easily how likely references were to recommend the candidate for rehire and how they rated overall job performance. The report provides a handy chart summarizing the candidate’s top strengths, greatest accomplishments and areas that might need improvement. The report can then be used to make a hiring decision or to gain further clarification and insight during the second round of interviews. Automated reference checking offers a more efficient and effective way to obtain background information on job applicants that will ultimately lead to better hires. By learning more about a candidate's greatest strengths and possible weaknesses, managers can also better determine what sort of training the new hire might need to get them up and running as quickly as possible. 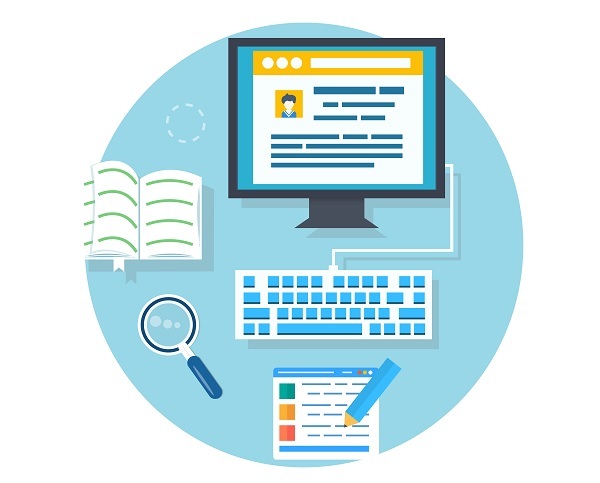 How could automated reference checking improve your hiring process?